Micro-Lyfe™ Blue Power can improve common lake problems with it's unique combination of dye and enzymes. Blue dye decreases sunlight penetration, reducing photosynthesis, and colors the water a pleasing shade of blue. The addition of amylase enzymes aids in the digestion of organic wastes as plant matter decomposes. You can adjust color intensity by adding more or less dye. Once diluted into the lake, dye will not stain fish, swimmers, concrete, or rocks. Shake well before using. 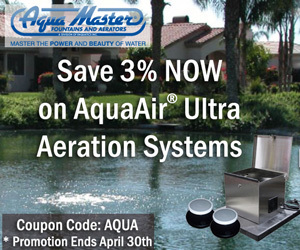 Add 1 gallon Blue Power per 4 acre feet directly to your lake. Note: Undiluted colorant could stain concrete or rocks. Due to differences in water quality and composition, actual color may vary. To achieve a particular hue, start by applying half the dosage rate and then slowly increase dosing until the desired color is attained. Allow 24 hours between doses. One (1) 5-gallon container of Micro-Lyfe Power Blue.